There are some more responses to the comment of Shane to ‘Hog-tying’ death report faults Fla. medics. Why do I write so much about excited delirium? Few of our patients will have any kind of life-or-death intervention from EMS. These are some of the patients. We can make the difference between life and death. These are also some of the least likable patients we will deal with – they are often attacking us. How do we protect ourselves and protect our patients? Some people continue to tell us that sedation is evil. Granted, I’m no lawyer, but it seems to me the greatest potential for liability is when the standard of care is NOT met, as opposed to when it is. So if you have protocols for chemical restraint (as my region does), to me that would imply greater liability for not restraining a patient in need of it and said patient wreaking mayhem and injuring people. But that’s just me applying common sense. So it’s probably wrong. I am not a lawyer, either. I think that we have too many people telling us what a jury will do, when we do not know what a jury will do. The jury determines what is the standard of care and whether that standard was met. Trying to predict what 12 people (or six) will agree on – after listening to very biased, but antagonistic descriptions of the same events and expert testimony that is similarly antagonistic – is not something intelligent people should do. If the patient is excited, with all other patients, we would be trying to calm the patient down. With excited delirium, we seem to be going out of our way to make them even more sedated. Here are some nice soothing leather restraints. If we follow the physical restrain promptly with chemical restraint, that is patient care. If we do not follow the physical restraint with chemical restraint, how is that patient care? Don’t know what hospitals Shane is dealing with, but virtually every hospital I take patients to has virtually done away with leather restraints, partly because of Joint Commission requirements, but also because they’d much prefer to sedate. Let me repeat that: MUCH prefer to sedate. There are EMS agencies near me that do not aggressively sedate agitated patients. As our medical protocols become more and more aggressive, that is changing, but we still have to wait for some of the old medics (and old medical directors) to die off. Being treated according to their own protocols may be the best way to do that. If it does not kill them, being treated by their own protocols may convince them that their approach to patient care is not good patient care. They’d much rather use a B52, or Geodon, or Zyprexa, or increasingly, ketamine, and they’re tickled pink if we get a head start on that before we even arrive. B52 refers to a mixture of B (Benadryl – diphenhydramine) 50 mg, haloperidol (Haldol) 5 – 10 mg, and lorazepam (Ativan) 2 mg. These doses are not limits, but starting points for sedation. We can always give more, even if we have to make a phone call while in the middle of wrestling with the patient. The Haldol does not get the recognition it deserves, but that is what is doing the most to knock the patient down – not knock the patient out. 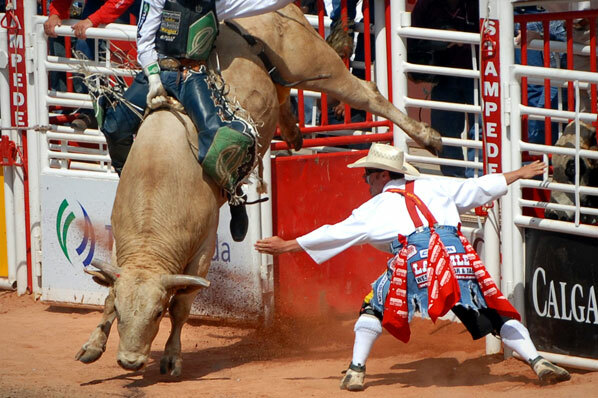 Knocking the patient down has little to do with gravity. Knocking the patient down means getting rid of the patient’s combative behavior. The diphenhydramine is there both as a sedative and as prophylaxis against extrapyramidal symptoms. Regardless of one’s choice of medication, the key to success is to use enough drug. Internist- and pediatrician-type doses usually don’t cut it. The PDR is clueless about effective doses for our purposes, and safety caveats in that publication are merely fodder for lawyers, not information for clinicians. The best guideline is to give enough to achieve the intended result. Regardless of one’s choice of medication, the key to success is to use enough drug. Why do so many of us attempt to justify giving an inadequate dose? ‘Hog-tying’ death report faults Fla. medics. Others responded to the comment of Shane to ‘Hog-tying’ death report faults Fla. medics. Why are medics so scared of sedation? But this does not lead to Yoda quotes. We should not be arrogant, assuming that we know everything about the drugs we use. That can be just as dangerous as ignorance, but we need to learn more about the medications we use. Too many people tell us that sedatives and opioids are dangerous. These are probably the safest drugs we use. They have well known side effects, but the side effects are not remotely as common as the Just say No people would have us believe. We need to base our treatments on understanding, not fear. If we understand what we are doing, we will continually reassess our patients, but we should do this with every treatment, not just the treatments portrayed as evil. My favorite comment in a chart of a patient that I suspect of ED is, “Pt arouses to voice and is resting comfortably on the cot.” That is a properly treated patient. The purpose of sedation is to sedate. That is a description of a sedated patient. We are not supposed to be producing awake and alert and cooperative patients. That is asking the impossible. We are supposed to be sedating the patient to the point of both no longer being a danger to himself and no longer being a danger to others. Awake and alert have nothing to do with that. I have had very good results with initial doses of 5mg IN or IV of Versed and 10mg IM Versed. I always followed up the IN/IV with an IM dose since studies, cannot find the original one, have shown IM as a better route with less resedation needed. I would prefer to use IV (IntraVenous) midazolam over IM (IntraMuscular), because it wears off pretty quickly when given IV, especially with the exaggerated metabolism of excited delirium patients. The reality of excited delirium is that an IV is usually not practical, so I have to settle for longer duration and less predictable absorption. I like the idea of the sedative wearing off quickly, because some patients just need to have their excited delirium interrupted. After a period of sedation, some are able to be reasoned with. Some will ask for more sedation, because they realize they cannot control they way their body is acting. This can be like a panic attack. The patient would like to control it, but does not do well without sedation. It should not be a surprise that benzodiazepines are commonly used for panic attack. How have your results been with IN (IntraNasal) midazolam for excited delirium? I know there are risks and apnea is one. Not a fan of doing that on purpose but, we can all handle that. If a medic cannot handle respiratory depression, or apnea, by BLS (Basic Life Support) methods, should that person be allowed to use any ALS (Advanced Life Support) treatments? We can’t handle simple cases of respiratory depression, but we should still be allowed to play paramedic? I am seeing more and more of these patients and more and more are ending up chemically paralysed on ventilators until the Spice or Bath Salts are out of their system. 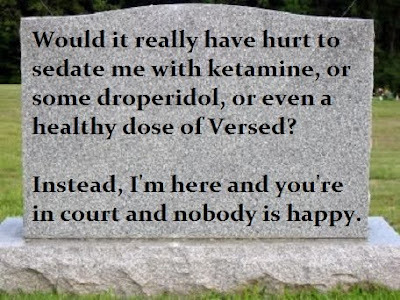 Maybe someday my medical director will give us Ketamine…. Sedation has so many uses, that we our patients are really missing out on an excellent treatment for a variety of conditions. Shane, so you have a stance that the hyperthermia, lactic/metabolic acidosis, rhabdo, dehydration, extreme hypertension, etc. that leads to renal failure, MODS, cardiac dysrhythmias, stroke and sudden death is not something that needs to be worried about? Last I checked most of those can kill pretty quickly. All those are a direct result of the patient that is out of control and fighting and struggling. My guess is you have never walked in the house to see every piece of furniture, every appliance, bathroom fixtures, windows, etc. all destroyed by a 150lb guy standing there naked and ready to fight. Not a fun call and a VERY dangerous situation for all involved. The people who deny excited delirium exists are not the people who work in EMS, emergency medicine, or the police. The people who deny excited delirium exists are the people who deal with patients who have already been sedated by EMS and the ED (Emergency Department). If we do not sedate these patients, we may miss the last opportunity to save their lives. All for a lack of understanding of sedation. It isn’t my birthday. Still, Shane decided to provide me with plenty of giggles in his response to ‘Hog-tying’ death report faults Fla. medics. I think you might want to review your comments and think before making some statements. I already made the statements, so I cannot review the statements again before making those statement, unless I repeat the same statements. Based on what you wrote, I will have to repeat some comments. I should probably strengthen, and add to, other comments, because you do not appear to understand. At first, I thought this comment was a joke. After thinking about it for a while, I suspect that you work for the QA/QI/CYA department of an EMS agency (or maybe you are an absentee medical director). Those are positions that seem to be filled with the most blatant promoters of misinformation. You comment is full of misinformation. 99% of the time, Chemical Sedation is NOT a good practice or recommended to control your patient. You make bold statements, but you do not provide anything, not even a note from your kindergarten teacher, to support your uninformed assertion. There are many underlying factors to consider, as you should know, and there are a reason hospitals, medical units and such carry leather restraints and other such devices including police handcuffs with an officer accompanying you in the truck. There is no requirement for leather restraints on my ambulance, but my state medical director has written protocols with a variety of options for sedation for excited delirium. By Chemically Restraining a patient you open yourself and your EMS/Fire Department to lawsuits and losing your license. By protecting my patient, I am protecting everyone else, too. Please explain the justification for the legal advice that you are giving. Did you stay at a Holiday Inn Express last night? I am being a patient advocate. You are advocating putting the employer and the medic first, because of some imaginary legal risk. this does not mean “knocking them out” to better control them. Unknown medical history, allergies, head trauma… all these contribute and should be considered. By doing so could result in a medic induced code due to your actions to use drugs to control a patient. We do not need to knock the patient out, but we do need to knock them down – we need to sedate excited delirium patients. I provided a link to the ACEP White Paper. You should have used that opportunity to learn about excited delirium syndrome. Rather than learn, you decided to be an evangelist of ignorance. You wag your finger at me based on what? You mention Unknown medical history, allergies, head trauma…. How would we make any of these better by increasing metabolic stress? Fighting against restraints will only make the metabolic stress worse. What do the experts state in that White Paper? The majority of lethal ExDS patients die shortly after a violent struggle. Severe acidosis appears to play a prominent role in lethal ExDS-associated cardiovascular collapse. ExDS is Excited Delirium Syndrome. Acidosis is not going to get better with continued struggling, but sedation can stop the struggling. Leather restraints do not stop the struggling. Leather restraints do protect others, when secured correctly, but leather restraints also increase the danger to the patient. ExDS subjects are known to be irrational, often violent and relatively impervious to pain. An irrational struggling acidotic patient is going to become less acidotic because . . . ? An irrational struggling tachycardic patient is going to become less tachycardic because . . . ? An irrational struggling hypertensive patient is going to become less hypertensive because . . . ? An irrational struggling hyperthermic patient is going to become less hyperthermic because . . . ? An irrational struggling hypoxic patient is going to become less hypoxic because . . . ? Sedation decreases the struggling and decreases the cycle of worsening metabolism that the patient exacerbates by fighting against restraints. Most authorities, including this Task Force, posit the beneficial use of aggressive chemical sedation as first line intervention. As with any critically ill patient, treatment should proceed concurrently with evaluation for precipitating causes or additional pathology. The experts do not agree with Shane’s fear of over-sedation. The experts do not agree that the rest of the patient’s history is more important than sedation. The experts appear to want to protect the patients with head injuries by sedating the patient. The experts have thoroughly investigated the condition of excited delirium (something police, EMS, and emergency department staff are familiar with) and decided that use of aggressive chemical sedation as first line intervention is the right thing to do. I think a little more thought should go into your blogs. There is another death of a man under circumstances that suggest excited delirium. A video camera worn by one of the officers captured the Sept. 9, 2010, confrontation, which occurred after the YMCA asked police to eject Smith, a mentally ill 28-year old who was acting bizarrely. The video shows the officers used a Taser several times before they could subdue Smith. But after nearly four minutes holding Smith down, the officers realized he was not breathing. He died a week later. So many points in just this one paragraph. 1. mentally ill . . . acting bizarrely. This should be presumed to be excited delirium until there is reason to believe otherwise. Because we want to avoid a deadly outcome. Appropriate sedation is probably the best way to do that. 2. officers used a Taser several times before they could subdue Smith. This support excited delirium, although it is not at all clear what this means. The video shows the Taser being used and David Cornelius Smith hitting the ground, apparently no longer combative, but what happened that this was not enough to control him? The video is cut so many times that we cannot tell what happened at what point. The video seems to be missing a lot of what happened. But after nearly four minutes holding Smith down, the officers realized he was not breathing. He died a week later. No. He probably died at that time. He was apparently resuscitated and died again, without being able to be resuscitated, a week later. Should we distinguish between clinically dead and legally dead? Yes, but both are dead. Pulseless, apneic, unresponsive with a leathal rhythm is dead. This is clinically dead while the person is still being treated as a patient. This becomes legally dead once the patient is pronounced dead and all resuscitative efforts are stopped, or when resuscitative efforts are not even initiated. But a lawsuit filed by Smith’s uncle claims Gorman and Callahan suffocated Smith by putting excessive weight on his upper back, and cites the autopsy report that classifies the death as a homicide. By focusing on the officers’ use of prone restraint, the suit calls into question a police practice that has raised concerns across the country. Is it a good idea to have weight on top of the back of someone in restraints? Did that cause the death of Mr. Smith? That is a much more complicated question that probably cannot be proved. The officers do not appear to have followed department policy, but that is not clear from the video, since I cannot really tell what is going on. The Hennepin County Medical Examiner attributed Smith’s death to “mechanical asphyxia,” noting significant conditions that included the prone restraint position, cold medicines in his system, mental illness and physical exertion during the struggle. According to this, positional asphyxia is much more than just the prone restraint position, but includes the typical ingredients of excited delirium – medicines, mental illness, physical exertion, and a struggle. Would Mr. Smith have lived if he had not been restrained face down with pressure on his back? This is why I am advocating for aggressive sedation of these patients. Sedation is expected to treat these conditions, rather than exacerbate them by not sedating the patient. Medicines – Almost always, stimulants are involved. Sedation is the same treatment that would be provided in the ED (Emergency Department) for overstimulation due to stimulants. If the drugs are not stimulants, then this does not appear to contribute to excited delirium. Mental illness – Sedation is the ED treatment for agitated, out of control patients with mental illness. Physical exertion/struggle – The patient is not just a little stimulated, but stimulated to the point of cardiac arrest. Sedation interrupts that feedback loop of ever increasing stress on the body. We would not let a CHF (Congestive Heart Failure) patient continue to increase the stress on his heart by depriving him of treatment, so why do we ever deprive excited delirium patients of treatment? Excited delirium is an extreme metabolic emergency that can kill. Medical and police experts who reviewed the videos and autopsy report at the request of the Star Tribune differed on their interpetations. That is another of the clues of excited delirium. We do not completely understand excited delirium, but that does not mean that we should avoid aggressive treatment of the things we expect to lead to death in some of these patients. ACEP (American College of Emergency Physicians) is clear that excited delirium is a real condition. No physicians have more experience with excited delirium than emergency physicians, so until there is some valid evidence to the contrary, excited delirium is real and should be treated aggressively according to recommendations by ACEP. Too Old To Work responded to my description of the benefits of keatamine in What I Wanted from EMS Santa But Did Not Get. Funny, I’ve used Lidocaine and Amiodarone a number of times to terminate antiarrhythmias, although I still contend that Lidocaine works better than Amio. I’ve only used cardioversion a couple of times and only when there was no other alternative. The last time I used it, we were using Valium for sedation, it’s been that long. That is why we ignore anecdotal evidence of benefit. When we look at numbers large enough to provide predictable results, the memories of good outcomes from amiodarone and lidocaine are found to be the result of statistical variation, or bad memory, or both. We tend to forget the times that our antiarrhythmics do not work for V Tach (Ventricular Tachycardia). Different studies show that amiodarone is only 29% effective at terminating V Tach, only 25% effective at terminating V Tach, , and only 15% effective at terminating V Tach within 20 minutes, but if we don’t mind waiting an hour it can be as much as 29% effective. Over 60% of the patients were cardioverted, for which they should receive a sedative that does not produce/worsen hypotension. We might as well start acknowledging that our anecdotes often do not match reality. When the patient is awake and alert with a systolic blood pressure of 70, should we give a vasodilator, such as midazolam, or should we give a drug that does not decrease cardiac output, such as ketamine? Amiodarone works just as well as Ketamine for sedation, Versed or Ativan work better for excited delirium. Amiodarone can produce hypotension, arrhythmias, and cardiac arrest, but that is not the kind of sedation I want. Was this a typo? Since you do not appear to have listened to any of the EMCrit podcasts I linked to, here is another opportunity to learn. Dr. Weingart describes the lack of effectiveness of benzodiazepines (midazolam [Versed], lorazepam [Ativan], and diazepam [Valium]). He does not discourage their use to minimize emergence reactions, but he does not suggest that they are appropriate as sole treatments for excited delirium, unless that is all you have available. Fentanyl probably works better for pain management, especially cardiac related pain. Which is great – if the patient does not require doses that produce respiratory depression, or if the only pain we treat is cardiac pain. Let me quote from the anonymous comment that you followed, but do not appear have read. It facilitates extrication of critical patients who are still awake and who often have compound fractures. Given the choice of struggling to hold a combative head patient down while trying to get them in a c-collar and a backboard vs. IM Ketamine and a cooperative patient within a minute or two, Ill take the latter. It’s a beautiful thing when used responsibly. It certainly is safer than trying to sedate and paralyze a hypoxic patient. If we want to be very limited in our options, then we should not ask for ketamine from our medical directors. If we do not like using safe drugs, then we should not ask for ketamine from our medical directors. I am stating that we should ask for ketamine from our medical directors. Our patients deserve it. I’m not following the last part of you post, because you haven’t set the circumstances requiring Ketamine and a NRB. I linked to the EMCrit podcast covering DSI (Delayed Sequence Intubation). I think that podcast more than adequately describes the circumstances in under 20 minutes. Ketamine might be an all in one wonder drug, but why do we need an all in one wonder drug when we can have a selection of wonder drugs? No drug is a wonder drug. 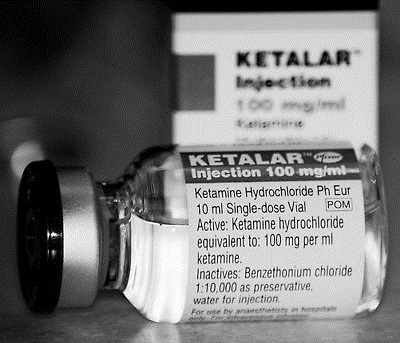 Ketamine does a lot of things very well – better than the usual EMS drugs. We should not allow our lack of familiarity to discourage us from using this drug that is used frequently, safely, and effectively all over the world. 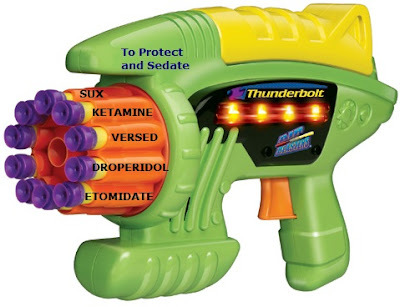 At Free Emergency Medicine Talks you should listen to Mel Herbert – Updates on Ketamine. Unfortunately, the video is not included, but the information is still very clear and very thorough. Ketamine is recommended for use in the patient whose stomach is not empty when, in the judgment of the practitioner, the benefits of the drug outweigh the possible risks. You may only treat patients who have been fasting, but I end up with patients with full bellies. I would prefer better ways to keep the stomach contents out of the lungs. Ketamine has a wide margin of safety; several instances of unintentional administration of overdoses of ketamine (up to ten times that usually required) have been followed by prolonged but complete recovery. Is any other sedative that safe? Yesterday, I mentioned a bunch of things that are good, but not at the top of my list. This is what I really wanted. Maybe during my shift last night, when I heard hoof beats on the roof, I shouldn’t have thought of horse or zebras. There is one change to my protocols that probably would not be used often, but when used would more than make up for the lack of use. What did this rogue want? Ketamine is effective – for many different conditions. 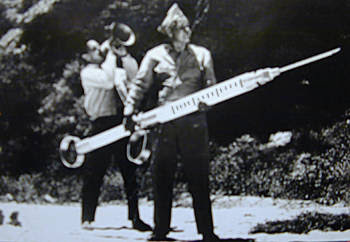 Excited delirium – IM (IntraMuscular) injection that works in a few minutes and is predictable in absorption. Airway management – IM or IV and the patient will not fight with a cannula or mask. Also can be used for intubation, although a paralytic would be best to go with it. The stomach contents should remain in the stomach – and we should assume that the stomach is full of chili and beer. Paralytics keep the stomach contents from migrating. Cardioversion – since we do not carry any effective antiarrhythmics (we have amiodarone and lidocaine – they are about as effective as placebo), we should be sedating patients in preparation for elective cardioversion in the ED, with the ability to emergently cardiovert them if they suddenly deteriorate. Ketamine is less likely than other sedatives to drop the cardiac output. Pain management – Ketamine alone is used for surgery in some places without complications and without complaints of being awake and feeling the surgery. Ketamine allows the patient to maintain airway reflexes. DSI – Another abbreviation? RSI, DFI, CFI, and now DSI? Yes. 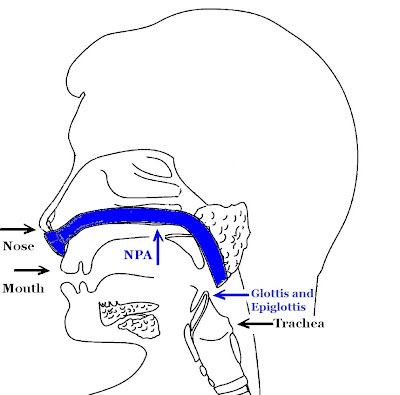 DSI (Delayed Sequence Intubation). 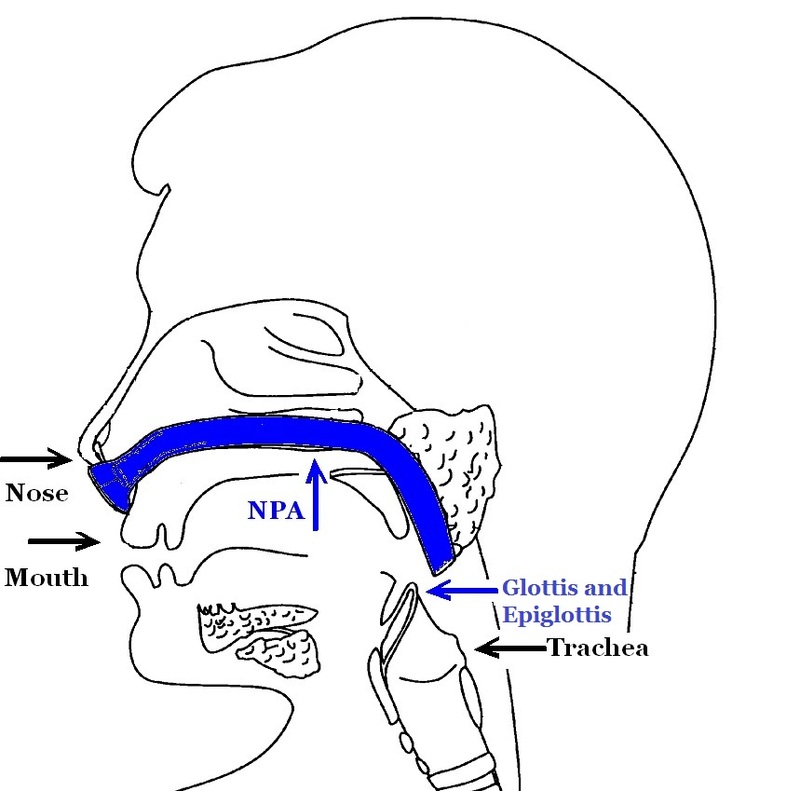 The best airway is the one maintained by the patient with intact airway reflexes. Ketamine can allow that to happen. Imagine the patient who has a neck so short that it seems his head is being sucked into his torso, but he is breathing on his own. We could knock him down and play around with his oropharynx until he has more lunch in his lungs than oxygen, but that would not be good airway management. We could use ketamine and oxygen by mask (maybe with 15 LPM oxygen by cannula in addition to the mask) and transport him to someplace where intubation (if necessary) can be done in a more controlled environment. And when the emergency physician grabs for the video laryngoscope, that is an admission that the right decision was made. I know. I am crazy to think that anyone would let EMS do this. In some places, EMS is already doing this. Safely and effectively. Maybe I am not so crazy, but I still do not have ketamine to help my patients.